Want to see a movie, but not sure what's worthwhile? Read on for this week's lineup of acclaimed movies showing on the big screen in and around Apex. With a 97 percent critical approval rating and an audience score of 95 percent on Rotten Tomatoes, Spider-Man: Into the Spider-Verse has gotten stellar reviews since its release on December 14, with a consensus that, "Spider-Man: Into the Spider-Verse matches bold storytelling with striking animation for a purely enjoyable adventure with heart, humor, and plenty of superhero action." Get a piece of the action at Regal Beaver Creek Stadium 12 (1441 Beaver Creek Commons Drive) through Friday, January 4. Click here for showtimes and tickets. With a critical approval rating of 94 percent and an audience score of 79 percent on Rotten Tomatoes, Bumblebee has become a favorite since its release on December 21. The site's critical consensus has it that, "Bumblebee proves it's possible to bring fun and a sense of wonder back to a bloated blockbuster franchise - and sets up its own slate of sequels in the bargain." It's screening at Regal Beaver Creek Stadium 12 (1441 Beaver Creek Commons Drive) through Friday, January 4. Click here for showtimes and tickets. With a critical approval rating of 64 percent and an audience score of 82 percent on Rotten Tomatoes, Aquaman is well worth a watch. 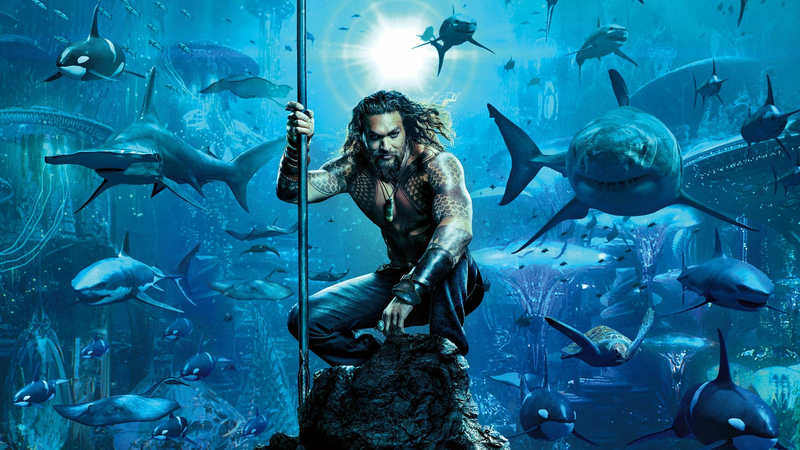 The site's critical consensus has it that, "Aquaman swims with its entertainingly ludicrous tide, offering up a CGI superhero spectacle that delivers energetic action with an emphasis on good old-fashioned fun." Get a piece of the action at Regal Beaver Creek Stadium 12 (1441 Beaver Creek Commons Drive) through Thursday, January 3. Click here for showtimes and tickets. Singer Freddie Mercury, guitarist Brian May, drummer Roger Taylor and bass guitarist John Deacon take the music world by storm when they form the rock 'n' roll band Queen in 1970. Hit songs become instant classics. When Mercury's increasingly wild lifestyle starts to spiral out of control, Queen soon faces its greatest challenge yet - finding a way to keep the band together amid all the success and excess. With a critical approval rating of 62 percent and an audience score of 90 percent on Rotten Tomatoes, Bohemian Rhapsody is well worth a watch. According to the site's critical consensus, "Bohemian Rhapsody hits a handful of high notes, but as an in-depth look at a beloved band, it offers more of a medley than a true greatest hits collection." It's playing at Regal Beaver Creek Stadium 12 (1441 Beaver Creek Commons Drive) through Friday, January 4. Click here for showtimes and tickets.